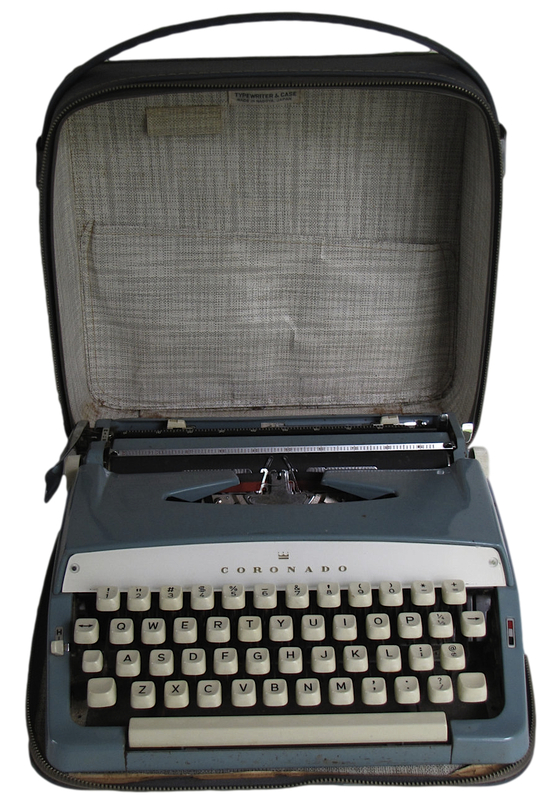 The Coronado is yet another Brother typewriter, the brand name for Gamble-Skogmo, a retail conglomerate with franchises such Tempo and Gambles. Numerous other products bore this mark, mostly electronics. Click image to enlarge. 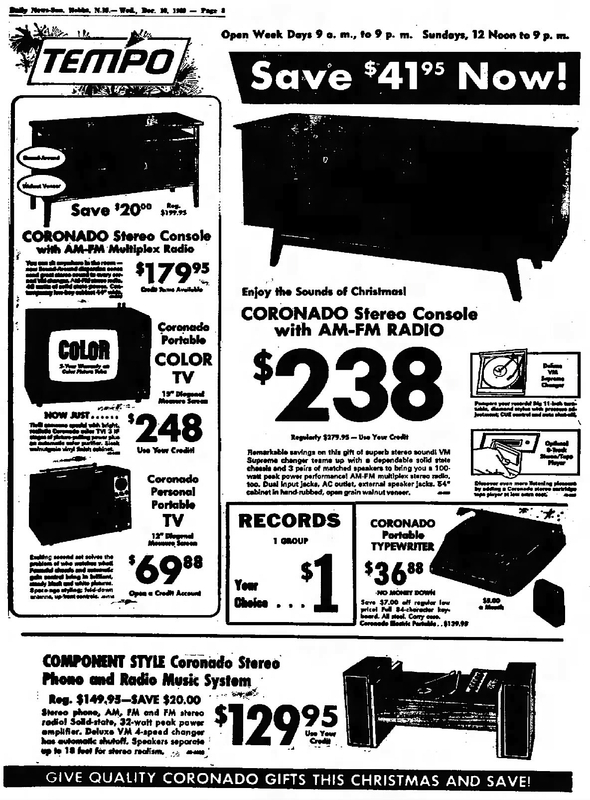 Hobbs Daily News-Sun – Hobbs, New Mexico – Dec. 10, 1969. Francisco Vázquez de Coronado y Luján (1510 – September 22, 1554) was a Spanish explorer who set out to conquer the legendary Seven Cities of Gold. Coronado died some years later in Mexico City in 1554. For me, though, what comes to mind when I hear the name Coronado is the Hotel del Coronado in San Diego. In middle school I vowed one day to stay at that hotel, a dream that is not yet realized. 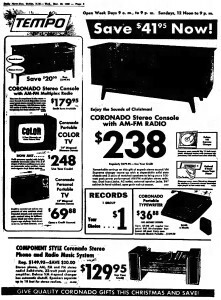 I’ve only located images for three Coronados, but it is likely Gambles offered the entire line of Brother machines, including electrics. The typewriter above is the same as an early Webster (and subsequent Webster XL-500) — it was listed by one Etsy seller as a model TY4-5130. 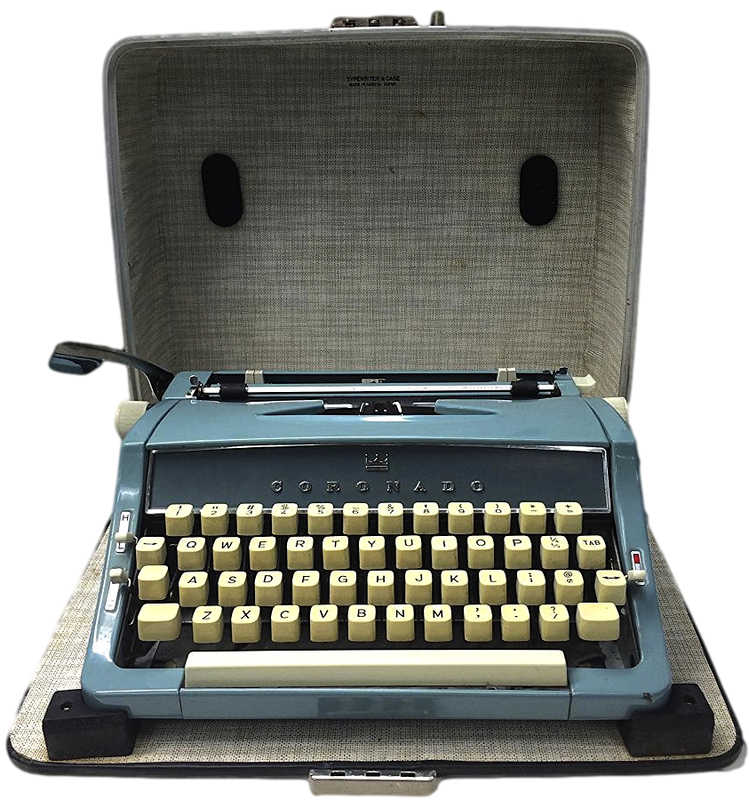 The typewriter below is a more fully featured machine, the second of several body types in the Brother line. Below that are photos yet another Coronado which I found archived on eBay. On that model, the case snaps over the typewriter. To note, a crown logo was also used on the Majestic, a Brother machine that was sold by Eaton’s in Canada. I found this machine archived on eBay, thus the image quality is not very good. Note the snap-on case. There’s also the Majestic (sold in Canada) and the Prestige. Eventually, I’ll get around to blogging about those. I own two Majestics, one with a wide carriage. The Prestige is a little harder to come by. That second Coronado with snap on case is very nice! Just found a Coronado at a yard sale for $15. The one in the lower pictures. Very nice. I’ve been trying to find out what sort of typewriter my father had because it was a very good machine; very light key action. I can’t remember the name beyond thinking that names starting with ‘Co’ seem to fit. I tried looking at Coronas, but they don’t match at all. Oh… now I remember thinking it might have been ‘Coronation’, so maybe it was Coronado. Visually, the top picture here is the closest yet. The differences included the older circular type of key, all-black paint (and very shiny! ), and I think the name was in gold. I think it had fewer keys because I remember being surprised by the lack of a ‘1’ key on some typewriter. If it was my dad’s, it could explain why I remember the sides being straighter. The little lever on one side and red-black thing on the other were identical.